How Has Phi Sig Influenced You? Ben McClure '62: "I learned civility, proper etiquette, how to and not dress and to get along with all kinds of people." Benjamin T. Jarmul, Jr. '81: "Phi Sig offered a great transition from high school to college life and college life to the real world. Great support system and family. Still family 25+ years after graduation. While my father questioned and cautioned me about pledging the house (when he dropped me off for our pledge house clean-up at the beginning of Spring 1978), he later remarked how this was the single best decision I ever made in life (of course before I met my wife)." Benjamin added, "I was an accounting major at Penn State so Bob 'Bear' Koehler, our chapter advisor for 4+ years, was my first professional mentor in life and got me an internship with Jartran Trucking in Coral Cables, Florida the summer between my junior and senior years (at the time I was painting for Bill Robertson, a Phi Sig who had his dental office on South Allen) that paved the way for an internship the winter term of my senior year with Ernst & Ernst (now Ernst & Young). I worked with Ernst & Young in Houston and Pittsburgh for fourteen years and Parente Randolph in Philadelphia and Pittsburgh for fourteen years. I always consulted with Bear throughout my career. Professionally, I owe Bear a ton and miss him and his words of wisdom and many, many experiences much." Michael Swank M.D. '66: "I learned the art of discipline and cooperation during my pledge time and the art of organization thereafter." 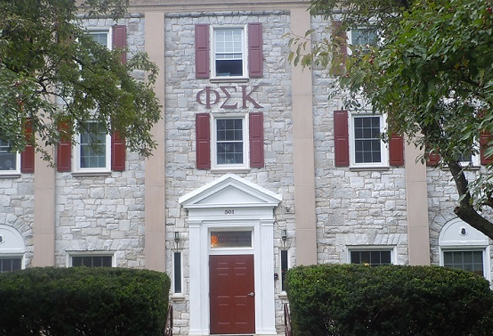 To add your memories and explain how Phi Sigma Kappa influenced your own life, click on our message boards and your feedback may appear on the site as well!